We (ok, especially me) love making suncatchers and I think these apple ones from Treading on Lego are great! 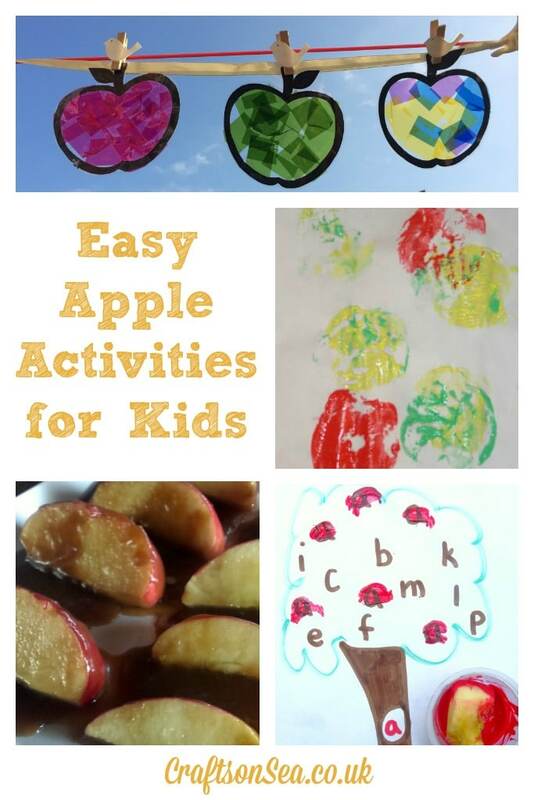 Love to Laugh and Learn share some great ideas on how you can use apple activities to help your child learn, while Mommy Crusader shares a recipe for caramel apples that her kids love to help her make and eat! Finally Growing Book by Book shared a great apple stamping activity that will help kids to learn their alphabet. Oh my pleasure! Thanks for joining in!